It seems like meniscus surgery has become a modern rite of passage for active people. A middle-aged person gets knee pain while doing something active, and sometimes a pop or shift is felt. The knee swells and becomes painful, and activity is difficult. An MRI shows a meniscus tear, and surgery ensues. Is the problem fixed, or are the real problems just beginning? For many patients a meniscus surgery failure is common, and the next step is often knee replacement. Is this all the standard of care or the biggest medical misadventure since snake oil? A new study adds evidence that this rite of passage is not helping patients, but is actually making them more likely to get arthritis. What Is a Meniscus, and Is a Tear Important? The knee has cartilage that covers the end of the bones. This biologic cushion is tough, but also vulnerable under the wrong circumstances. The meniscus is an added shock absorber that helps to protect the cartilage. At first blush it would seem that a tear in this structure would be a real problem, reducing the ability of the meniscus to guard against cartilage loss. There is some truth in the assertion that a torn meniscus is less able to do its job. However, there’s one problem with operating on the meniscus—removing parts of it makes the wear-and-tear forces worse. Before we get into what surgery does to the knee joint, let’s spend some time reviewing whether meniscus tears are important at all. That meniscus tear seen on MRI in a middle-aged man or woman is a story that happens hundreds of thousands of times a year in the U.S. What if the tear seen on MRI was mostly a red herring? It’s hard for patients to get their heads around the fact that a meniscus tear seen on MRI may have been there long before their knee began hurting and that their buddies who don’t have knee pain also likely have meniscus tears on their MRIs. However, this is true based on a number of big studies. So that meniscus tear that the surgeon convinced you was the cause of your knee pain and swelling likely isn’t. The bottom line: meniscus tears are as common as wrinkles and likely just as meaningful. Many patients believe that meniscus surgery involves a repair of the torn structure. Nope. More than 9 times out of 10, what’s really being done is that the torn meniscus piece is removed. So while the torn meniscus may be less efficient in helping protect the cartilage, removing a part of the meniscus makes matters even worse! Many prior studies have shown that meniscus surgery increases the loads on the cartilage, leading to more wear and tear. Now a new study continues to add to that body of literature that this common surgery is bad news for most patients. The new research looked at patients before and after a partial meniscectomy surgery—the most common elective orthopedic surgery in America. What was unique about this study was that it wasn’t just another cadaver study looking at what happens in simulated surgeries, it was an actual 3D gait analysis of real patients. What did they find? Just as predicted by other studies, the forces on the knee cartilage went up after surgery. Given that these patients had a meniscus tear that needed surgery at the first gait-analysis measurement and then had the same knee measured after the surgery, the increase in forces is very concerning. 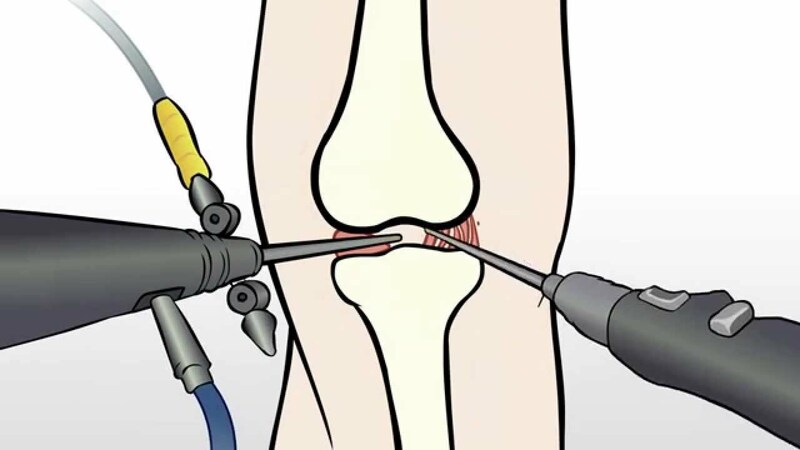 The whole point of the surgery is to get rid of the pain and make the knee function better. Given that other studies have shown that meniscus surgery is no better than a placebo procedure in relieving pain, the fact that it made the function of the knee worse is a double whammy! The upshot? Outside of a knee that locks frequently and is nonfunctional, the research shows that knee meniscus surgery is a really bad idea. This hasn’t stopped hundreds of thousands of these procedures a year, but as the evidence continues to mount that the procedure is hurting patients, at what point do insurance companies decide to no longer cover this expensive boondoggle? In the meantime, rather than cutting our torn pieces, we’ll continue to use precise injections of the patient’s own stem cells and platelets to help the problem. thankis for this post. I have had one PRP injection. It has decreased the pain by about 50%. Three weeks have passed. Do many people need a second injection? Can not afford. Would do if insurance paid. Location in another city. The insurance issue is something we have no control over. One thing that could help would be for people to contact their insurance companies and demand coverage for stem cell treatments. If enough people flag up the issue, it will at least bring it to their attention. I did the knee 3 step procedure Aug 2015 I'm in my 6 month, I'm now exercising more aggressively and do over 5 miles on various equipment without pain. Well worth the cost even without insurance. Wonderful news! Thanks for the update, and keep us in the loop. Does the 3 step procedure damage the remaining cartilage in the knee? No, not at all. Each step is designed to maximize regenerative potential. I had both knees scoped (2005, 2009) for partial tears. It alleviated the pain and allowed me to run again. I've gone more to cycling but have been running some in the past 9 months with some knee pain beginning to develop. What might you suggest to avoid more surgery? I had meniscus surgery 4 years ago on my left knee and wish I hadn't. The inflammatory response that the surgery caused, left me in terrible pain and I have been suffering ever since. No amount of diclofenac would help, and neither did a subsequent cortisone injection. I was offered Percocet, but don't want to go down that road. I am certain that I have a tear in the right knee meniscus now, but am not going near the surgeon. Better to tough it out and see what happens. I also have arthritis in both knees. I live in Canada, and unfortunately your treatments are not available to me here. Some places offer PRP injections, but I am not sure how reputable they are, and of course insurance doesn't cover it here either. Thank you for your articles. I find them very informative. I too have had the scope on March 15, 2017 on my left knee -- I really have not had relief from pain or swelling. Physical therapy was no help. I then found out I also,after my fall,I had torn my right knee as well, reason why initially I had pain and swelling in both knees. The left one was worse so that one was take care of first. I have not had surgery on the right. Nothing works pain pills, can"t take any noninflammatory medication seems I am allergic to most - just wonderful. I have been suffering with pain and swelling trying to work on restrictions -had to give up my second job,too physical, my primary restrictions. End result taking Tramadol as needed every six hours, I suffer most of the time, scared to take. I don't want to become addicted to it. I had a cortisone injection in left knee October 2017 - hurt like I'll leave it at that. All that has done is cause more pressure and pain -I already have fluid behind both knees. They put the injection right into the incision area. Now reading what your report wondering if more damage will be done as the result of that injection? Had MRI found that I do not have evidence of a new tear in left knee but a cyst where the tear was was and now wear or damage to the subchondryl area of my knee. That is already showing on my right knee because I did not have surgery on that knee and living with both knees in pain and wondering if what you saying will help. I am going to further investigate your web page and ask my ortho surgeon about doing this instead of surgery. At this point from other information I have read I am looking at down the road both knees being replaced -I am only 49 years old -- not ready to have knee replacement times 2 just yet but really the pain? I am an active person. Knee replacement should always be the last resort after all more conservative measures have been tried, as they are irreversible. Both Meniscus tears and Baker's cysts are things we treat regularly, and many of our knee patients have had prior surgery. Importantly, the type of injections to avoid are steroid injections as they breakdown cartilage, can damage tendons and kill the local stem cells already struggling to repair. If you'd like to discuss your particular case with one of our physicians, please submit the Candidate form to the right of the blog. What if you have already had surgery? My husband had surgery 3 weeks ago and is now in more pain than before surgery. A good percentage of our knee patients have had prior surgery and we would likely be able to help going forward. Recovery from these surgeries is often a lot more intense than patients are expecting, but, please contact the Doctor who did the surgery to rule out important post surgical issues.